First and foremost, SWYP is a community. 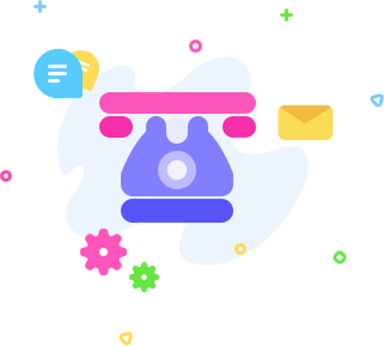 A community that lives and breathes within a mobile app and desktop website. 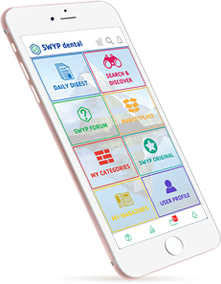 SWYP empowers and unites dental professionals by organizing industry information and giving users the tools to be better every day. Not only does SWYP keep you up to date in the industry, SWYP has features that will keep you engaged with your community and social networks, while tracking and rewarding you for your activity. Earn points and gain status when you download the app, ask/answer a question on the forum, share content with your friends on Social Media, Like an article, invite colleagues to join the SWYP community, and more. Accrued points will be redeemable in the future for SWYP Swag and special offers. Use SWYP. Get engaged. Be Rewarded! All relevant dental publications are sourced, as well as publications that you might not think of from “outside” the dental industry. SWYP will also mix in topics like finance, business ownership, Internet marketing, motivating employees, health and fitness, travel and more. Dental professionals can finally focus all of their attention on the specific information they want to help them be a better dentist, a better hygienist or assistant and better business leader. When a user joins SWYP, they are encouraged to pick the categories of most interest to them. Seven categories (called the SWYP Seven) are automatically selected as default categories because of their broad appeal. They are: Practice Management, Cosmetic Dentistry, Digital Dentistry (CAD/CAM), Internet & Practice Marketing, Inspiration/Motivation, Entrepreneurs, Technology in Dentistry. Users can easily add categories from 50+ choices, and must select a minimum of 10 total categories to get started. SWYP is for everyone in the dental industry. This includes not only dentists, but all dental team members, dental students, and industry professionals, as well. 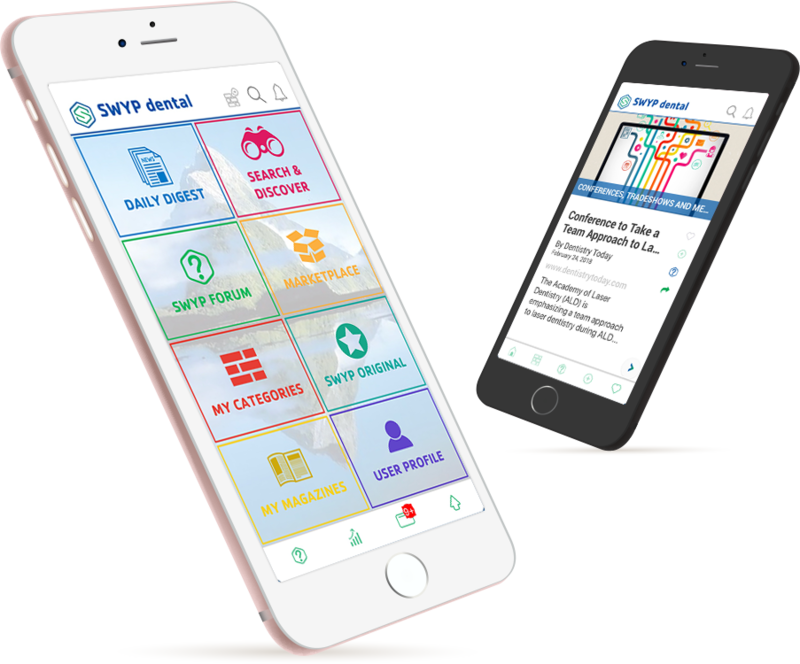 SWYP Product Marketplace is an online resource directory of professionals ranging from practice management consultants to coaches, advisors and authors. Ideal for practice management consultants/coaches, advisors, practitioners, and others who sell products or services such as eBooks or books videos or tape series, online courses, consulting services. Submit your contact information to receive the Media Kit by email, and one of our representatives will call you to discuss advertising and marketing opportunities. Thank you.